Finding ingenious, software-driven methods to improve the performance of optical hardware is one of the hot topics at OFC 2017, and every vendor has a unique interpretation. Optical systems vendor Coriant used the show to unveil a real-time performance and analysis software toolkit that it calls “Coriant Aware Technology”. The new capabilities will increase transmission reach and capacity, enable faster and simpler wavelength planning and provisioning, and improve service availability, the company says. 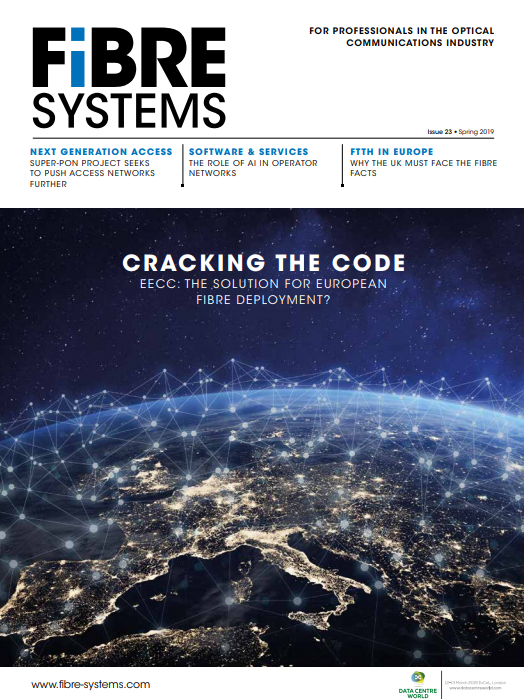 Today’s network planning tools lack real-time data from the optical network and therefore must “stack margin” to accommodate worst case scenarios, with connections often being specified for end-of-life working conditions. This means that the connection is not operating at its full potential. Meanwhile, network management systems, even those built on software-defined networking (SDN) principles, usually lack the sophisticated optical performance models found in offline planning tools. Coriant’s software includes a real-time planning tool, the Optical Performance Engine (OPE), which responds in real-time to path validation requests from the path computation function within the network management system. Using optical models that consider both linear and nonlinear impairments, the OPE generates the valid options for each requested path – including modulation types, baud rates, error-correction schemes, frequencies, and power levels – enabling the best options, including flexi-rate interface settings and super-channel options, to be selected. The second component of Coriant’s software, the Margin Processing Engine (MPE), carries out residual margin calculations. Residual margin is the most useful measure of received signal quality, because it determines how much room there is for the signal to degrade. It does this by gathering performance monitoring data from across the network, including from coherent receivers and the per-channel power monitoring data from other network elements. It is then able to process this data in real-time to distinguish noise from signal degradation due to linear and nonlinear optical effects. This enables it to deliver accurate and real-time residual margin values for each channel. Coriant isn’t disclosing details of how its software works, but emphasises that real-time data from the network is vital. “We collect all the sensor information we have from the transponders through optical link, correlate it, and this gives us a precise measurement of the residual margin. That can then be used to optimise service performance,” Fischer explained. The result is better transmission reach and capacity, providing operators with the opportunity to monetise that margin as extra capacity that can be sold to customers. Real-time awareness of the optical performance also enables operators to speed up service activation and simplify restoration processes, for example, by relaxing margin requirements for temporary restoration paths. Coriant says its technology will become increasingly important as the optical network becomes more dynamic with the evolution of flexi-rate interfaces with a wider range of modulation schemes and baud rates, and wider adoption of reconfigurable optical add-drop multiplexer (ROADM) based mesh networks. Fischer points out that Coriant’s technology is independent of the digital signal processor (DSP) chip, which means it can be applied more broadly. It can be used to manage existing networks, including any alien wavelengths running over that network, providing there are sensors in the network to extract information from. In contrast, Ciena’s approach for optimising optical performance relies on its WaveLogic coherent processor (see Ciena uses machine learning to create Liquid Spectrum). Nokia Bell Labs has also developed, though not yet implemented on commercial DSPs, a technique called “constellation shaping” that could offer similar benefits (see Nokia and Facebook break subsea spectral efficiency record). Coriant says Aware Technology will be introduced in phases, with initial OPE functionality available for customer trials in the next few months.